Allow me to introduce myself. My name is Kayla and I grew up in Raleigh, North Carolina. I take care of my (human) family, although they might beg to differ. They think they take care of me, and of course there is an element of truth to that. However, I am the true leader of the pack as my fellow canine, Cleo will tell you. Among other things, I make sure that my family gets lots of exercise. 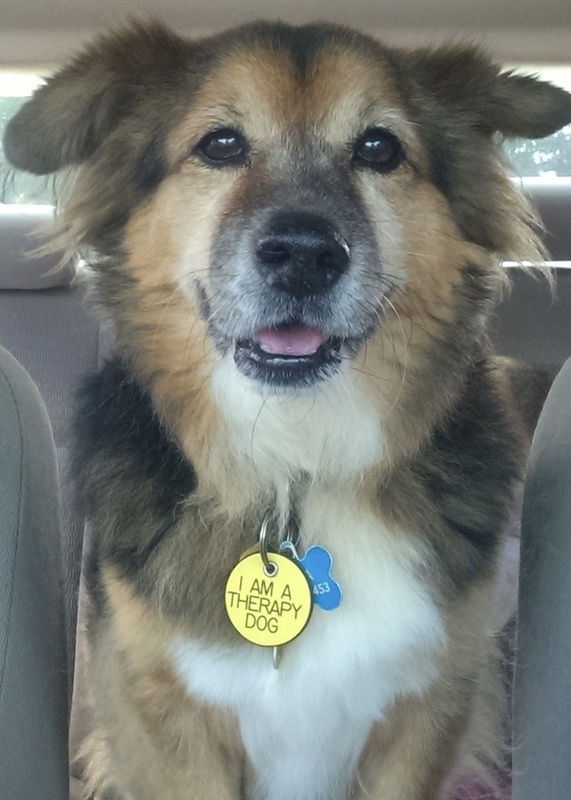 I am also a proud graduate of the Therapy Dogs International (TDI) program. I earned my degree several years ago. I feel compelled to bark a bit by letting you know that I have participated in Special Olympics and also enjoy listening to children read at the local library. Here is a brief “all about me” summary. Age: 10 years plus this and that. Let’s not get too specific. I am very young at heart, and age is just a number anyway. Siblings: I live with one other dog. Her name is Cleo. She’s much bigger than me, but I’m the boss! 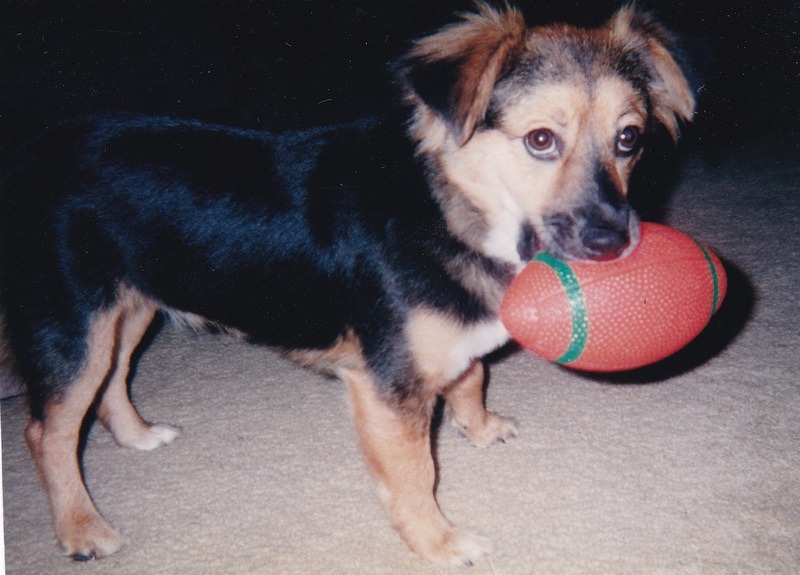 I like playing with my orange football. It is my favorite toy. Age does have its advantages. I also live with (gasp!) a feline, named Waffles. We are unofficially known as the three musketeers, and I do my best to keep Waffles out of trouble, with little success. However, we all get along quite well, in spite of the fact that Waffles is a bit of an attention hound! What I like Most: In no particular order…..treats, my family, listening to children read, going for walks, playing with my friends, helping others, splashing in puddles and my orange football! Food for thought: 3 Steps to Happiness…..(1) Talk Less, Listen More (2) Complain Less, Appreciate More (3) Fear Less, Do More!